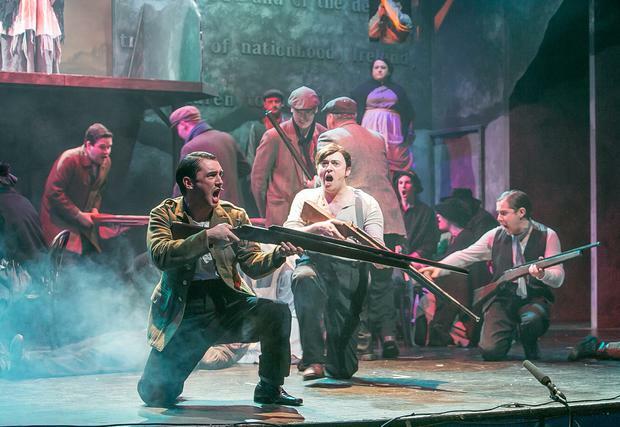 A performance of Michael Collins at the Watergate Theatre. Photo: Pat Moore. A LOCAL authority provided €300,000 to a struggling leisure centre without receiving a business case to justify the loan. Waterford County Council provided the loan to the Tramore Water Centre Group, trading as Splashworld, despite the company's auditors saying they had concerns about its ability to remain in business. The loan was provided after the council had written off rates in 2013 and previous years, the Local Government Auditor said, adding the loan had not been registered as a charge against the property. The council said the loan was properly approved, and was based on it being repaid in full. It added that concerns about the business's future was based on a loan due to the former Bank of Scotland, which had been "addressed" by issuing the new borrowings. Concerns have also been raised about companies that other local authorities have an interest in. In Kilkenny, The Watershed leisure centre which the council owns is technically insolvent as its liabilities are in excess of its assets. Accumulated losses ran to €14.2m as of December 2013, with an operating loss of €774,000 in that year. The auditor noted there was "material uncertainty" about the ability of the centre to continue in business. Concerns were also raised about the Watergate Theatre Company, also in Kilkenny. It recorded an operating profit of €272,000 for 2013, but only after a loan of €397,000 from Kilkenny Borough Council was written off. The council said "corrective action" was being taken to reduce the company's dependency on the council. Donegal holds an interest in 10 companies, and the council needs to improve "oversight" and ensure proper corporate governance arrangements are in place. The Carlow Arts Centre has loans totalling €13.8m from the council, and has accumulated losses of €1.46m as of December 2013. The auditor said support needed to be "critically reviewed". The council said public arts centres "by their nature" were not self-financing, and it was operating within budgets. The Askeaton Pool and Leisure Centre in Limerick was also flagged by the Local Government Auditor. Limerick County Council owns 51pc of the company, and a private operator was managing the facility without a formal contract and without going through a formal tendering process. Roscommon Leisure is also technically insolvent, and depends on "bankers and funders" to remain in business. The council, which owns the centre, said monthly financial reports were being provided to address losses. In Waterford city, the council provided €1m to three companies and underwrote loans to other others worth €4.7m. The auditor criticised the council for not "substantially progressing" concerns raised in previous audits.